Flavian holds an undergraduate degree in psychology and performing arts and post-grad qualifications in public health and international executive management. He has worked for both national and international development organisations ranging from LifeLine/ ChildLine Namibia to FHI 360 and Engender Health. With 13 years’ experience in local and international development, his technical expertise and passion is rooted in the intersect between holistic health and rights. In his career he has developed strong technical expertise in community-based health care, immunisation, curriculum development, human rights and multi-country programme management across South, East and West Africa. 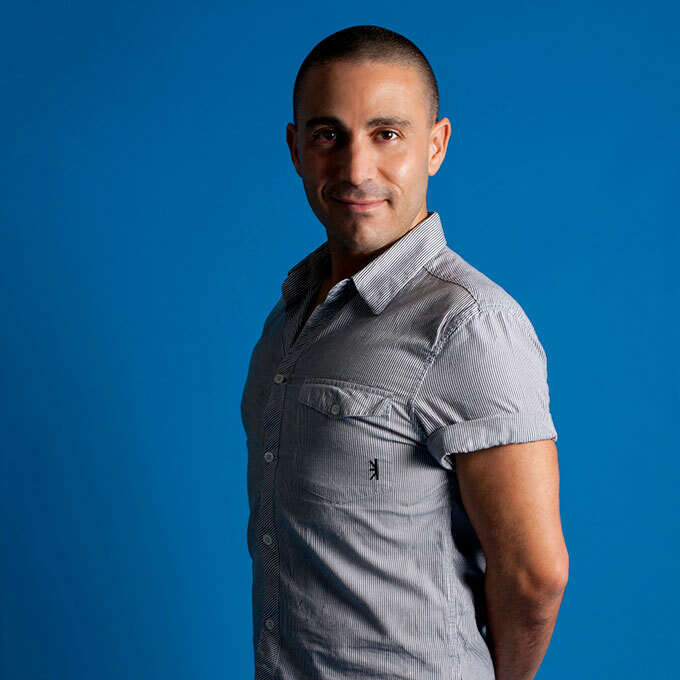 Flavian is the Executive Director of Positive Vibes Trust where he leads a dynamic and passionate team and is responsible for strategic oversight and business development. Lee has over 10 years of senior management experience focusing on national, regional as well as international development, with postgraduate academic experience in the fields of Organisational Psychology as well as Health Policy and Systems. 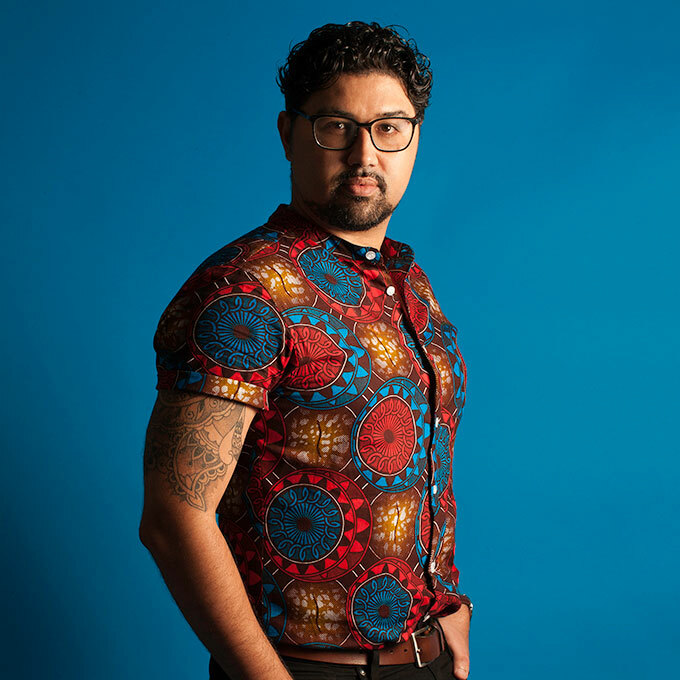 Lee comes from an activist community background, being the co-founder and chair of the first LGBTI Youth Network in South Africa and correspondingly being active in the formation of an LGBTI youth movement in the country. On completion of his postgraduate studies, he coordinated an ARV access programme, for a regional pharmaceutical establishment, that focused on health & wellness management of patients. Thereafter he entered the formal development sector managing the national caring schools programme on behalf of IBIS and the Multi-Agency-Grants-Initiative, a programme which enabled safe spaces for orphaned and vulnerable learners across South African rural school communities. Following that he began working at Hivos on their HIV&AIDS as well as LGBTI programme, and thereafter, for several years, managed their regional Southern Africa Sexual Rights and Diversity programme spanning 10 countries. The support given within the programme was in the form of grant making, capacity strengthening, coaching and facilitating networking as well as executing knowledge development and dissemination initiatives. Lee is now now anchored in Cape Town working at Positive Vibes, in the capacity of Deputy Director, with a primary focus on overall organisational innovation as well as developing and strategically leading the regional programmes portfolio which focuses on Health and Rights programming spanning more than 18 countries across Africa and Asia. Michelle holds a Bachelor of Commerce in Information Systems from the University of Cape Town (South Africa). She has been working in the NPO sector since 2002 and has worked with very small community based organisations to large international organisations, ranging across various sectors from education, advocacy, health, and other social concerns. Michelle is the founder of Entrepreneur and Management Solutions, a consulting firm that provides strategy development and financial management support to small businesses and non-profit organisations. Her skills include systems and process design, strategic financial oversight, financial integration into organisational processes, donor monitoring systems, accounting, and tax and legislative compliance. 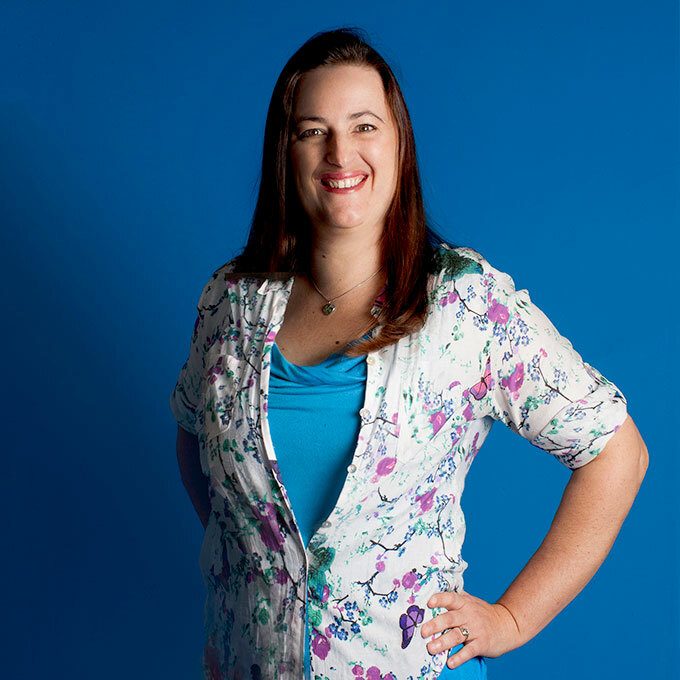 Michelle has 10 years’ experience managing teams, particularly who are remotely located. Michelle has been part of the PV team since mid 2014, ensuring appropriate and accurate financial monitoring, management oversight and donor reporting. Salen has more than 20 years’ of experience in public health with special emphasis on HIV/AIDS programming, primarily in Namibia. Salenis managing teams to implement Key Population programming and PLHIV programming across Namibia, sharing her insights and expertise in strategic program design and development, management, social science research, design and planning, implementation, capacity building of evidence-base HIV/AIDS programming, project management, monitoring and evaluation, development of training tools and grants management and communication programming. Salen has worked across the NGO sector, supervising and providing technical oversight to various US Presidents Emergency Fund for AIDS Relief (PEPFAR) projects as well as support to the Namibian Ministry of Health and Social Services. She has a depth and breadth of knowledge of evidence-based and promising models and internationally recognized best practices in community and mass media health communication interventions. 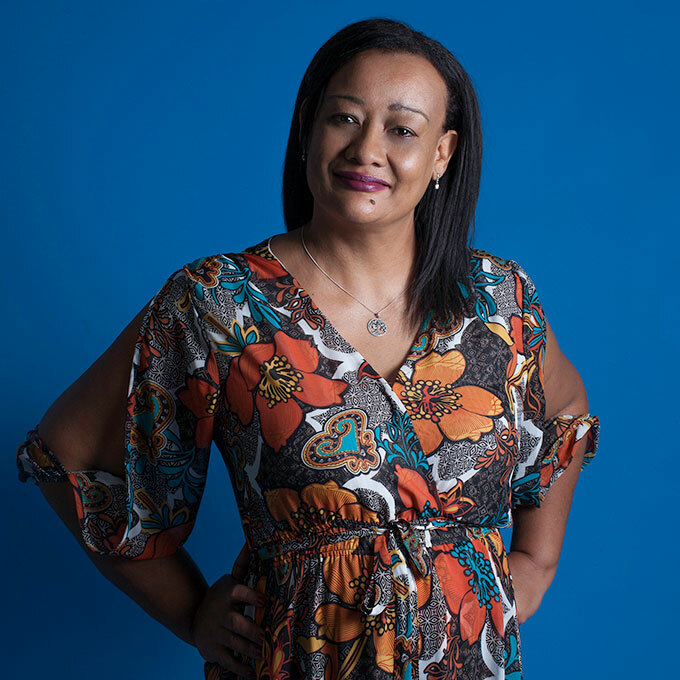 Lelanie is the co-founder and managing member of Twafiika Consultants – a strategic management boutique consultancy operating in both Namibia and South Africa since 2009. As an accomplished change agent and chief strategist she is backed by strong academic credentials including an MBA and over two decades of experience. Lelanie assists corporate, government and individual clients globally. She has served in leadership capacities across a variety of fields, including financial services, governance, retail, international marketing, project management, public relations and communications. She has also lectured in the fields of strategic management, international marketing, online-marketing, communications, financial education and intercultural communications & negotiations. Lelanie is also one of the founding members of the Namibia Institute of Corporate Governance. Uno is a partner in the law firm Nixon Marcus Public Law Office in Windhoek. She is a law graduate of the University of Namibia, and has also been awarded a master’s degree in law by the University of South Africa.Uno worked as a government lawyer in the Office of the Attorney General after graduating, and later took up a post as a legal counsel at the headquarters of Interpol inLyon, France, for three years from 2012 to 2015. She joined Nixon Marcus Public Law Office upon returning to Namibia in 2015. Born in Zimbabwe, educated in South Africa and citizen of Botswana, Dumiso is a second year part-time PhD (Law) candidate, Chartered Global Management Accountant and member of the Chartered Institute of Management Accountant. Dumiso serves in strategy, corporate governance and human rights roles with a career ranging from Trainee Accountant to Financial Accountant, serving Southern African Development Community regional projects and global group level engagement in Price Waterhouse Coopers, GIZ (German development cooperation with South Africa), Zurich (Now Bryte Risk) and United Nations Development Programme. Dumiso specialises in human rights research, HIV prevention, LGBTIQ+ advocacy and community engagement. Dumiso also sits on the Global Board of Green the Gene, a youth environmentalist organisation and Pledger Africa, a South African based non-profit organisation that links professional with social good initiatives. Dumiso strategically serves the International Youth Alliance for Family Planning, African Network of Youth Policy Experts and African Queer Youth Initiative. Agnes is a business development manager and communications specialist with 25+ years’ experience. Agnes has had a long-term career with the United Nations as a UNDP communications specialist spanning more than 15 years. She has consulted with a number of UN agencies such as the International Labour Organisation, UN Population Fund (UNFPA) and UN Women. She has also worked with private sector as a business development manager. Agnes has championed and promoted uniquely African mobile games-based applications that empower youth with understanding and addressing issues of gender-based violence and climate change. She is a board member of the Africa Women Development Fund and previously served as an advisory board member on the Student Enterprise Programme for the Africa Leadership Academy. Agnes is a Cherie Blair Foundation mentee alumni and in 1994 she was part of the Cape Town UN Observer Mission monitoring the first Historic South Africa Democratic Elections. Melanie is a trained journalist with extensive experience in grantmaking and raising funds for a variety of causes. As the founder of Words that Count, Melanie spends much of her time guiding organisations in their development strategy and measuring the impact of their interventions. She also is a successful trainer and mentor. She has raised money for organisations as diverse as a mission hospital and a university, and held senior positions in a number of large non-profit organisations. Melanie serves on the board of The Carpenter’s Shop, an NGO working with the homeless in the Cape Town City Bowl and is a council member of Northlink College. She is also currently the national president of the Southern Africa Institute of Fundraising.